Before anything else, let’s answer the first question in your mind – What is Phoenix Service Software? Well, you can call it a fantastic tool that is entirely free and can be used in Nokia Phones with the help of USB data cable. Now, flashing your Nokia phone gets a lot easier with phoenix service software tool. With this tool, there is no need for you to wait to download any sort of external software. The latest update of Phoenix service software was released recently and can the firmware is readily available for download. For the yearly version to release, you might have to wait a little longer as the 2018 version is still in moderation mode. 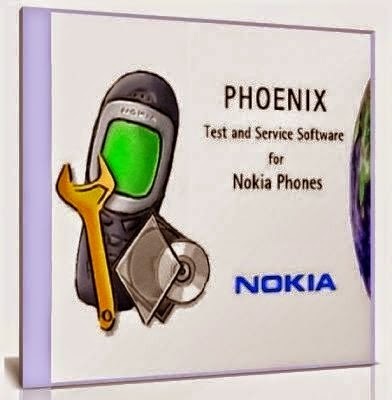 Nokia Phoenix Service Software, is, by far one of the most common and useful software available for any Android users. The Phoenix Service Software is completely free to install and can be easily used as per your convenience. For working with Phoenix, you can easily reset all the factory features. With Phoenix, there are options to make an upgradation on the previous version of your mobile phones or flash your mobile at ease. With Phoenix, your time and money is easily saved. Nokia Phoenix Service Software is a tool that has capabilities of making hard flash. The software provides its full support to all sorts of Windows Operating System which includes Vista 7 and 8 of all bits. After the successful download of the software on your computer system, you can begin with flashing your Nokia tool. All that is required of you is to take your Nokia phones and connect your computer to it using a data cable. Now, after you have connected your phone with your computer, click on the software on your PC and here are the valid set of instructions that you need to follow. Firstly, go for the download link where you can find the software available for download. Click the link for the download to start. After the completion, install it in your windows system. Here is the downloading link for you to download and quickly install it on your computer. After the successful download of the software mentioned above, you can look for the location where it is downloaded. Later, you are required to install a service software setup directly for your PC. After the downloading of the software is complete, all you are required to do is take your bb5 Nokia phone and have it connected to the service software with the help of USB cable. After this, you can find it very convenient to download any Nokia model flash file from all over the Internet. Some of which are: CNT, PPM, and many more. Without any further ado, start getting these flash files directly on your computers. Nothing comes easy and the same goes with Phoenix Service Software. Before you begin downloading anything on your computer, it is needed of you to have the following requirements ready. Without these, it will be a difficult job to install and use the Nokia software. So, in case you are missing out on any of these requirements, make sure to get them done at the earliest. These were everything that you might have needed to know about Phoenix Service Software. The Software is not only the widely used one but is also highly recommended by professionals for flashing of Nokia Phones. In other word, this is a boon to your Nokia phones, so why not consider using one?